Master of Management student Juana Maria Castillo Lopez. Moving to the other side of the world to study at postgraduate level, in a language that is not your own, sounds daunting. And it is, but for Colombian master’s student Juana Maria Castillo Lopez, the challenges have been worth it. 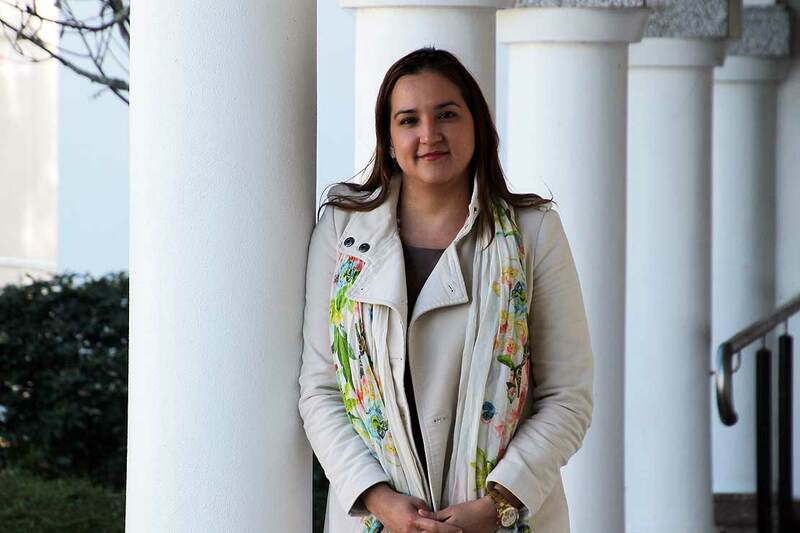 Ms Castillo has just completed her final semester for her Master of Management at Massey University’s Auckland campus, with a focus on international business. She already has a Master of Financial Law, but wanted to broaden her skillset. “In Colombia I was working for a pension fund and a trust company, and often had to oversee negotiations abroad, so I thought a master’s with international business would be quite useful for my career,” she says. When she arrived in Auckland, Ms Castillo said there were numerous challenges, including navigating around a large city with limited public transport, finding a place to live and an overwhelming first week of workshops. She says that while those first months were not easy, the level of support offered by the University was crucial to her transition. “The campus health and counselling service was very helpful, especially when I suffered badly from hayfever when I first arrived,” she says. Ms Castillo has worked part-time in the hospitality industry since moving to Auckland to help pay her expenses and says the job has been great for making New Zealand friends and embracing the challenges of daily life. “Kiwis are as friendly and warm as Colombians, so I really like that because it makes me feel at home,” she says. This year Ms Castillo was also awarded a Promising Student Assistance Bursary. The bursary is funded by Massey Business School staff members through a direct-from-salary giving programme to support students facing financial hardship. Ms Castillo says she would now like to gain some work experience in New Zealand, ideally with a government agency, before travelling around the country. She says she ultimately wants to work in policy development and hopes to return to Colombia with a valuable international perspective that will help her contribute to her country’s sustainable economic development. Be very patient and open minded because the culture is very different. It takes a while to get settled and you will struggle with many things when you first arrive. Just take your time and make use of all the resources the University offers you. Don't be scared of the lecturers, ask any questions you have and get advice if you are struggling with the assignments. Don't feel that you're not capable. Approach your lecturer, ask for advice, they are ready to help you. My first assignment was not good enough for me, but I've since improved my academic written English and my research skills, and now I feel confident when I have to write an assignment.